Cellphone customers can often score a cheaper plan in Manitoba, Saskatchewan and Quebec compared to the rest of the country. CBC News explores the price differences and why better rates are offered in those three provinces. When CBC News reported on the black market cellphone industry last week, it sparked outrage from some readers about price discrepancies across Canada. Because various cellular plan prices are much cheaper in Manitoba and Saskatchewan — close to half the price —some third-party dealers offer a one-time fee to secretly switch people's plans in other provinces to the cheaper Prairie deal. "Two of the least populated provinces can offer cell services for almost half the cost of more populated provinces. Amazing!" commented an astonished reader on the CBC.ca story. "It's so obvious we are getting ripped off," stated another reader. So CBC News decided to explore price plan differences across Canada, why they vary, and what the future holds. According to the latest report commissioned by the CRTC — the country's telecom regulator — Canadians still pay some of the highest rates for wireless service in the industrialized world. But in Manitoba, Saskatchewan and Quebec, customers can often score cheaper deals compared to the rest of the country. CBC News scoped out discount brands Koodo, Fido, and Virgin, owned by Telus, Rogers, and Bell respectively to compare prices. In most other Canadians provinces, the price for the same deal for all three brands is almost double — between $90 and $95 a month. The exception is Quebec where customers can get the same plan with one extra GB of data for a cheaper $58 to $60 a month. The CRTC-commissioned report also clearly shows regional price differences. It looked at six of Canada's major cities and divided up wireless plans into categories based on included features like data amounts. For all six categories in 2016, the cheapest deals were in Winnipeg, Regina and Montreal. The more expensive cellphone packages generally showed the biggest price differences. The top category listed family plans offering unlimited talk, texting, 10 GB of data, and three phone lines. 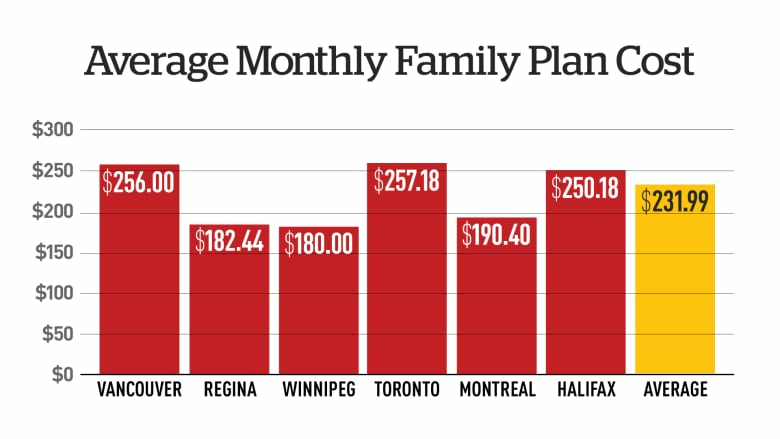 The average price per month was $180 in Winnipeg, $182 in Regina, and $190 in Montreal. Halifax, Vancouver and Ontario all ranged between $250 and $257 per month — at least 39 per cent higher than the average Winnipeg rate. 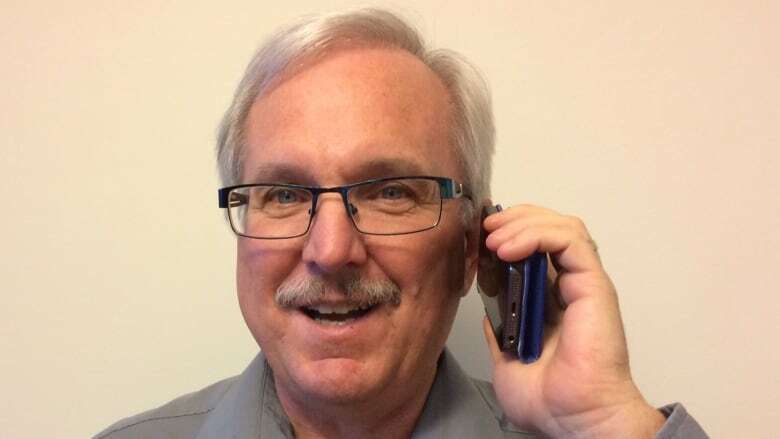 Tech analyst Daniel Bader says cell customers in Saskatchewan, Manitoba and Quebec enjoy cheaper rates because those provinces all have a strong regional competitor that can compete with the top three telecom companies: Telus, Rogers and Bell. In Manitoba, the competitor is Manitoba Telecom Services (MTS). It began as a Crown corporation in the early 1900s and was privatized in 1997. Saskatchewan has SaskTel, which was also founded in the early 1900s, and remains a Crown corporation. Bader says the two regional players' established history and attractive deals make them serious contenders with the big three. "Bell, Rogers, Telus coming into a market with an established incumbent, they were forced to undercut those prices and meet the market where it was." Quebec also has a strong fourth regional player — Videotron — which launched a provincewide wireless business in 2010. Bader says Videotron's prices undercut the competition, forcing other players to also lower rates. "Videotron helped bring prices down to a level that the market would be happy to settle at. They've been doing that very well to this day." Bader says the lower prices offered in Saskatchewan, Manitoba and Quebec make it clear that "we need a strong fourth player in each market" to bring Canadians more affordable wireless service. But some of the current competition could soon disappear. The Saskatchewan government recently made noises about selling SaskTel. 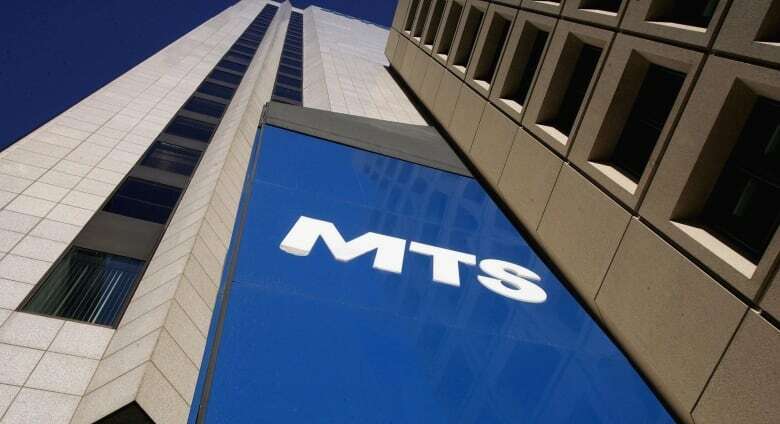 In Manitoba, Bell has agreed to buy MTS for $3.9 billion. The takeover deal is subject to approval by a number of government agencies. Many people in the province predict if the deal goes through, it will mean a rise in cell plan prices. "I'm not impressed with that," Winnipeg resident Lloyd Gwilliam told CBC News. He's happy with his current Bell deal where he and his wife each have a wireless plan totalling $100 a month. But Gwilliam fears that could soon change. "They're promising extra infrastructure, so how do you pay for that? You've got to move up the rates." CBC News asked Bell its plans if the deal goes through. It said that its acquisition will include an investment of $1 billion over five years to expand broadband and wireless services in Manitoba. We inquired if higher prices were also in the cards but the company didn't address the question. On the national front, Bader does point to one glimmer of hope, the new kid on the block: Shaw. The telco has the means to become a strong fourth wireless carrier in Canada once it finishes upgrading its wireless network sometime in 2017. Earlier this year, Shaw snapped up Wind Mobile for $1.6 billion. Wind operates mainly in big cities in Alberta, B.C. and Ontario. Bader says the telco still faces some hurdles turning Wind into a serious contender. But he believes if Shaw is successful and offers even slightly lower rates, it could spark a price war. "If their network even smells of being competitive with Bell, Rogers and Telus, people will move over," he says.